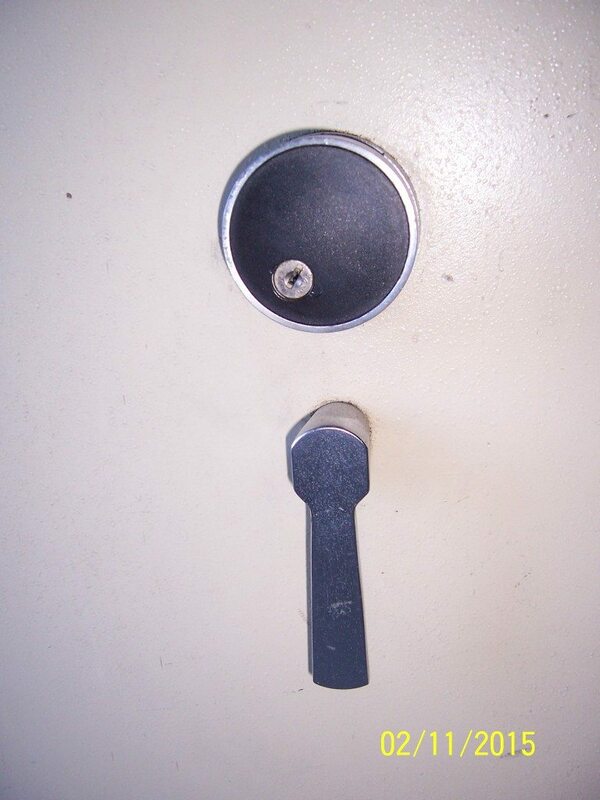 Close up of dial and handle, key locking dial. Interior view, home made shelves.looks like place for another. This safe is an all around boss. 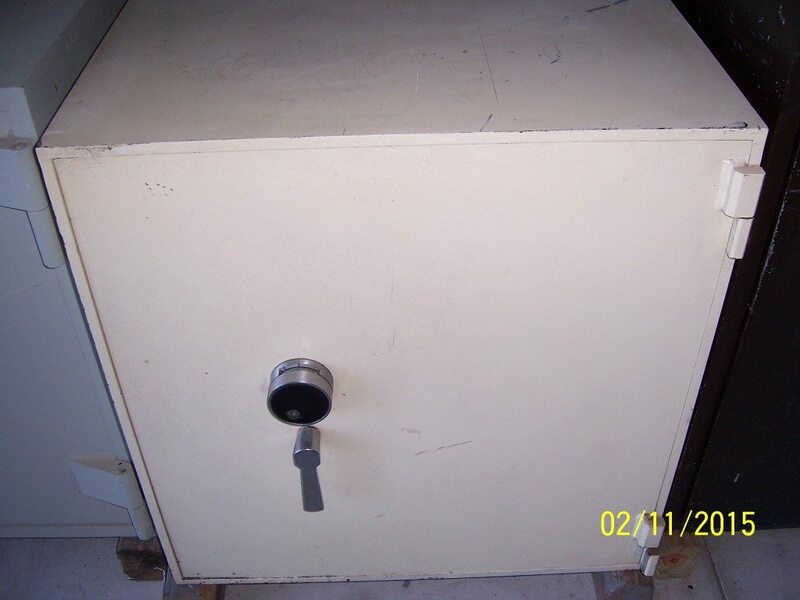 You could fit a very large amount of valubles in this safe. 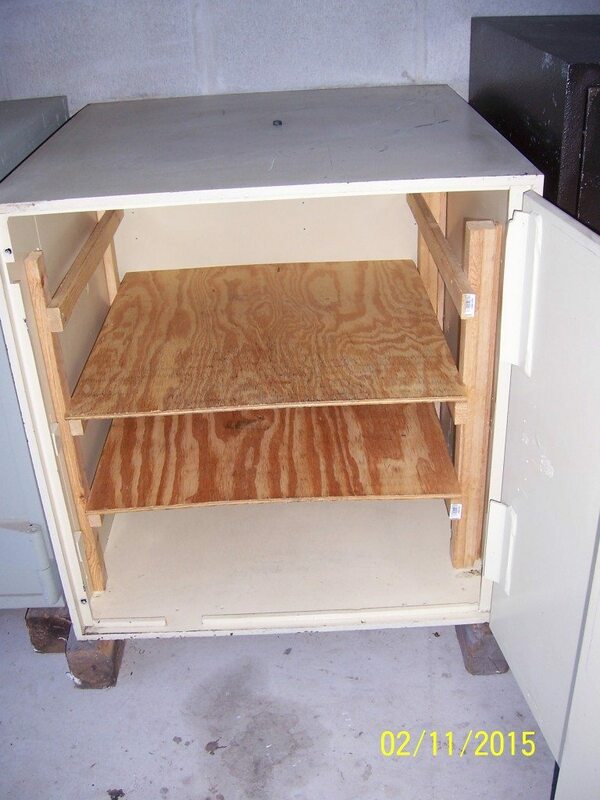 Inside is a system of homemade shelves that can easily be taken out or painted, and the outside of this safe already looks great and is strong steel to keep everything inside safe. Ext. Dimensions: 29" x 27.75" x 29"
Int. Dimensions: 28" x 26.75" x 24.5"